When I was about fourteen years old I was competing in an Irish dance competition (yup, wearing one of these crazy dresses and wigs) and right before I got on stage my mom gave me a Claddagh ring adorned with Celtic knotwork. Until about three weeks ago, when it snagged on a shirt and broke, I hadn’t ever taken it off. I guess you could say this tutorial today is inspired by that ring. This Celtic knot is called the Trinity Knot or Triquetra. It has many different meanings, but overall it symbolizes three different forces that join as one. 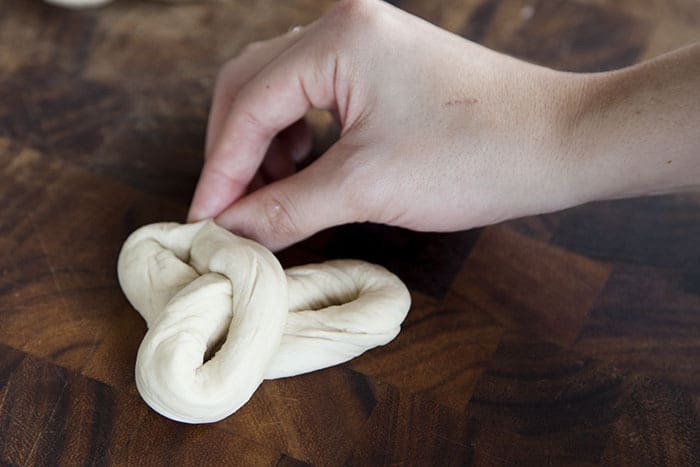 Also, it’s one of the easiest Celtic knots to do, because it doesn’t get nearly as complicated as some of the others. Are you ready to give it a try in this tasty St. Patrick’s Day treat? 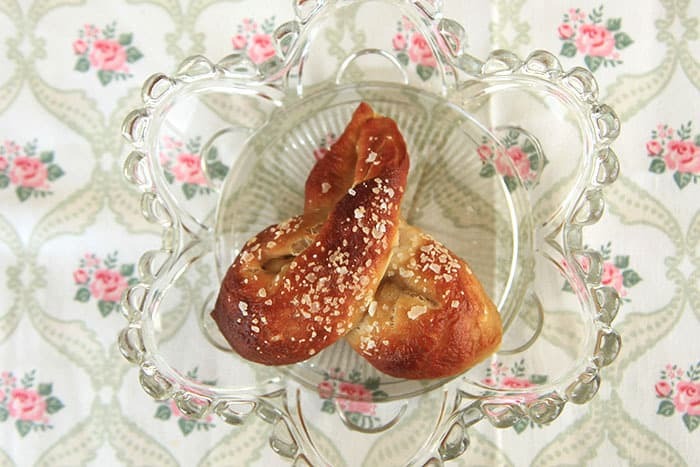 Start by using Jaime’s Soft Pretzel Candy Cane Recipe for ingredients and initial directions. 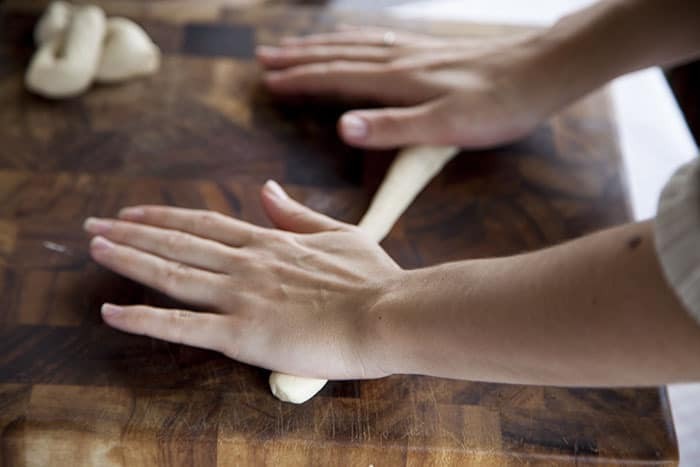 Once you’ve made the dough, roll it out, but instead of cutting each piece into four, only cut them in half. Fold about 3/4 of the dough over the other 1/4 to create a loop. Take the long piece, make another loop, and bring the end up to the top. 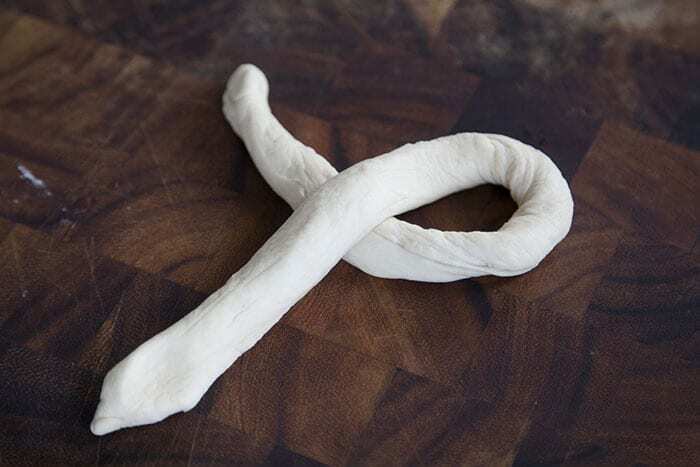 Pinch the dough together to make it stick. Pinch all the ends out a bit to give it points. 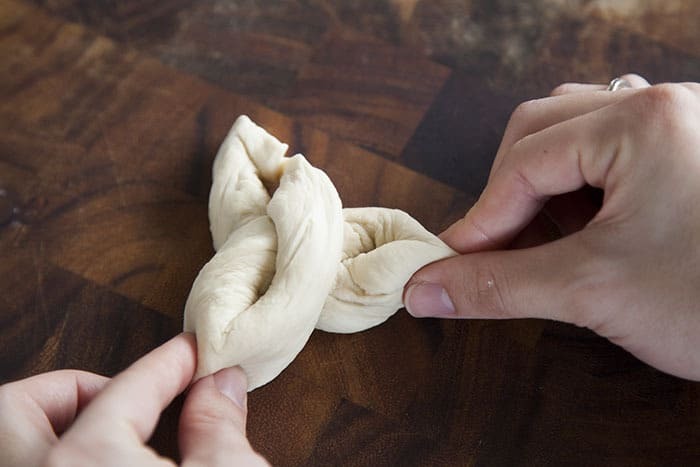 Make sure your dough is secure at the point where both ends meet, if it becomes disconnected while cooking it definitely won’t look like the knot you hoped for. 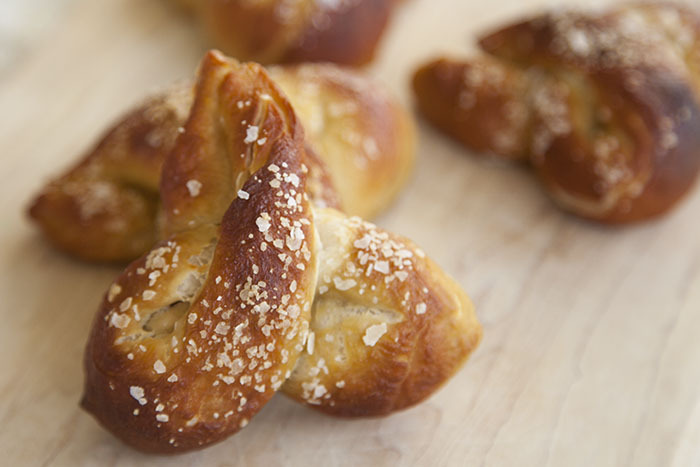 Once you’ve made your shape, continue to follow Jaime’s Soft Pretzel Candy Cane Recipe and enjoy!